Ten Cornerstone volunteers turned out Saturday, October 11, for the "Jim Jackson" Church Work Day. They worked hard on beginning the job of replacing toilets in the upstairs restrooms. One was completely installed, and preparation made for installing two others. Also, one of the basement classrooms was painted. A big thank you to all who worked so hard. Church Work Day is held every second Saturday of the month beginning at 8:00 am, as volunteers work on various projects around the church building and grounds. If you would like to help, just show up and you will be put to work. Jim Jackson, and his wife Ruby, were some of the early members of Cornerstone. They served faithfully in many capacities, with Jim always helping out around the church fixing things and generally caring for the church facilities. He and Ruby passed away several years ago, with Jim going home to heaven in the month of October. 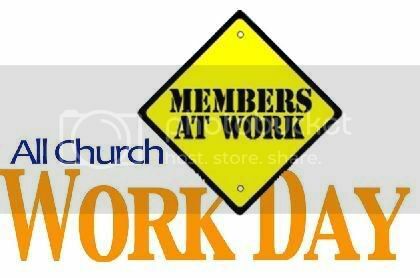 The October Church Work Day is named in his honor.